The Canisius athletic department and Van Wagner Sports and Entertainment (VWSE) announced Wednesday that the groups have agreed to a long-term partnership, naming VWSE as Canisius' exclusive multimedia rights partner and sales agent for the athletic department's corporate sponsorship program. As part of the agreement, VWSE Collegiate Services division will launch “Canisius Athletics Sponsorships,” the local team that will be dedicated to representing the College in the marketplace. VWSE will work with the College’s athletic leadership to create meaningful year-round assets to enhance the exposure of the athletics program and create unique and valuable sponsorship opportunities. 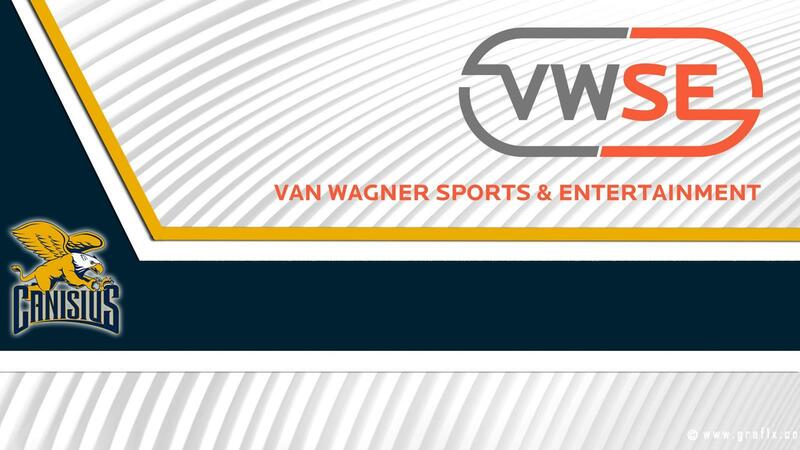 VWSE will handle management, sales and integration of corporate sponsorship on all levels within multimedia resources, including the Golden Griffins’ digital assets, broadcasts, venue signage, marketing, print, and promotional rights to athletic marks and hospitality. Since 2014, VWSE Collegiate Services has become a leader in college sports marketing and developed to represent the sponsorship or multimedia rights for multiple schools and athletic conferences, including the America East Conference, Central Intercollegiate Athletic Association, Colonial Athletic Association and the West Coast Conference, as well as Florida International University, Georgia State University, Liberty University, Loyola Marymount University, Niagara University, Pepperdine University, University of San Francisco, Siena College, Saint Joseph’s University, Santa Clara University, Stony Brook University, among others. Canisius College, the only NCAA Division I institution located within Buffalo’s city limits, competes in 20 varsity sports. A member of the Metro Atlantic Athletic Conference (MAAC) and Atlantic Hockey Conference (AHC), the Golden Griffins have captured 26 conference championships in eight different sports since 1989-90. Founded in 1870 by German Jesuits, Canisius College is named for St. Peter Canisius, a renowned Dutch educator and one of the original members of the Society of Jesus. One of 28 Jesuit colleges in the nation, Canisius is proud to share in the Jesuit heritage, which offers students a unique blend of academic, social and spiritual growth opportunities to prepare them to be leaders in their professions, communities and service to humanity.